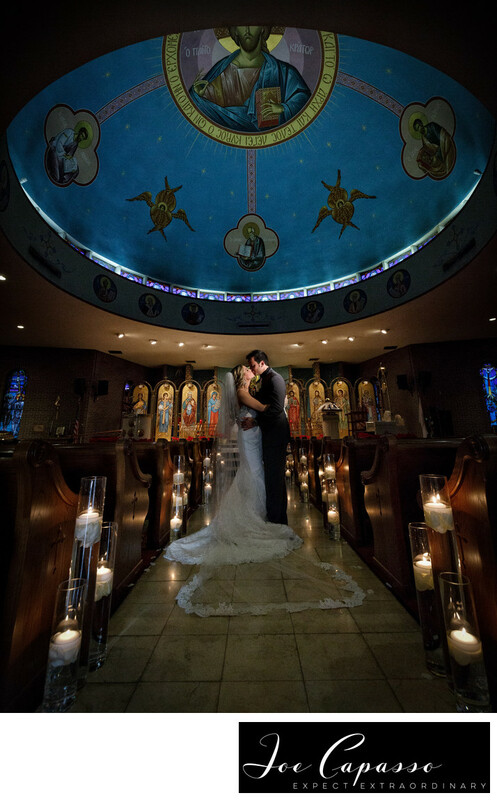 Alyson and Lucas were married at the Holy Trinity Greek Orthodox Church in Clearwater, Florida. The Church isn't too far from Tampa, Florida. Inside, it features beautiful architecture, which is perfect for a romantic Tampa church wedding. Afterward, the bride and groom held their wedding reception at the Safety Harbor Resort and Spa. This Greek Church is a relatively new parish. It was built in the 1960s.